With today’s busy lifestyle, it’s refreshing to know that you have a dentist who you can call 24 hours per day to take care of your every requirement. Dr Serfontein and his team provide a professional 24-hour concierge service for all their international patients. For this we work closely with MedicalTourismSA to assist with Accommodation, other Treatment options, Airport Transfers, Safari Trips, Tours and other Extra Services. Located in the centre of Cape Town, the practice offers easy access to world-renowned wine farms, tourist destinations and local attractions. Premier Dentistry Offered At A Fraction Of The Price. The South African dental profession is highly regulated. Registration with both the South African Medical and Dental Council and Health Professional Council are compulsory for all reputable dental professionals. 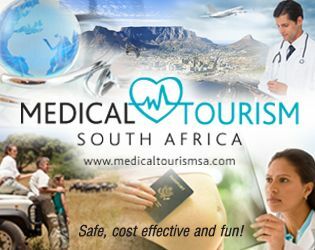 The exclusive concierge service in collaboration with MedicalTourimsSA can assist with all travel requirements so that visitors can maximise their leisure time. Whether it's a Table Mountain experience, Victoria & Alfred Waterfront Shopping spree or dining at any of the wine farms or top "foodie" restaurants, all arrangements can be secured on the patient's behalf. Travelling to South Africa for dental work is the ideal way to visit this beautiful country and see the iconic Cape of Good Hope, with all it has to offer.